Antiques Roadshow Viking Age in library of Reuver in the Provence of Limburg in the Netherlands, June 2016. 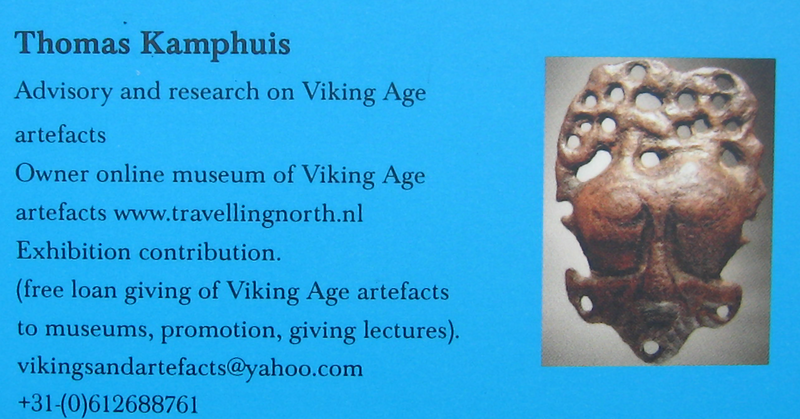 I am a man from The Netherlands, 49 years of age since 2003 I have been collecting artefacts from the Viking Age. Apart from the Viking Age, I have some other artefacts from that era from the Finns-Balts and other tribes, living in Russia/Siberia. A few items from the era of the Normans in England can be found here also. My aim is to share my collection online, act as a source of information who can always be contacted personally via mail, Facebook (link attached), Twitter (link attached), by telephone or live if you want to meet me and exchange thoughts with me. Advisory and research on Viking Age artefacts isn't a hobby: it is my passion. So, if you have any question about an artefact from the Viking Age you like to require from a dealer, metal detectorist directly, or otherwise like to know more about a specific artefact and/or its use, always feel free to consult me. In recent years I have expanded my activities via contributing in exhibitions about the Viking Age with free loan giving and writing texts for the exhibitions. Apart from that I can be hired for giving lectures, as in recent times I have done on several occasions in per example a cultural cafe, libraries and the State University of Groningen on behalf a student Union. Summer 2017 I started writing a book on the Vikings, connected to the artefacts within my collection and a broader perspective with tribes who were living alongside and with these Norsemen during the Viking Age. This book is now, March 2019 , nearly completed and I will publish it through print on demand, at first in Dutch. When demand from outside The Netherlands would become substantial, I am considering translating it in English in future. Apart from that I am continuing to write articles on Viking Age artefacts, via blogs on this website (link attached), blogs on www.academia.edu (link to personal page attached) and guest blogs/articles in several media in The Netherlands like the Detector Magazine (see beneath) and the Stichting Scandinavië Institute (link attached). The museum Dorestad being closed due to a relocation when re-opening, will kick-off with a major exhibition on the Viking Age , where a good part of my private collection will be exhibited within. In the section About you can read something more about me. In Artefacts from the Viking Age you can scroll through the artefacts of my private collection. Some artefacts I have published in blogs and will be attached later on the Artefacts section. Beneath attached are some impressions of my activities. July 1 and 2th 2017. 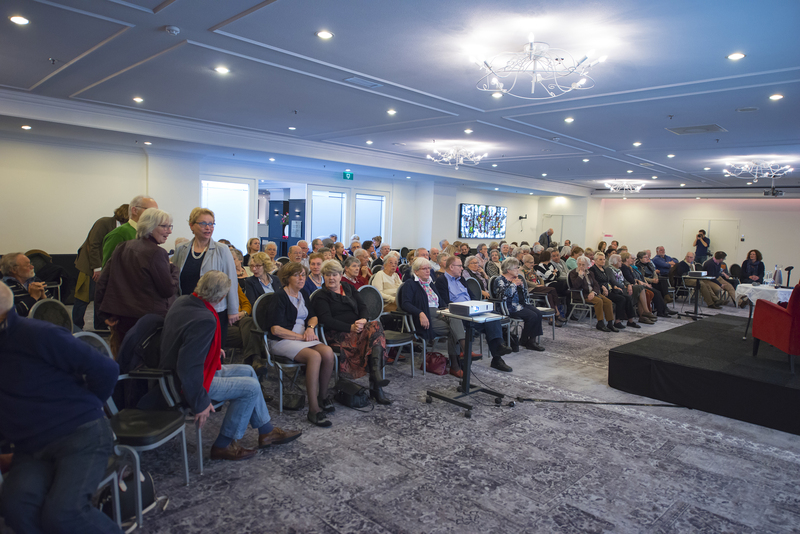 Lecture at Cultural Café 'Salon Remunj' in Roermond, Limburg, March 2015. (image above and here under). Viking Age college at the State University of Groningen on behalf of the Scandinavian Society Groningen, April 2016. (image above and here under). Article in Detector Magazine Holland. Opening of the exhibition 'The Norsemen were here' , The Norsemen in Asselt, Historiehuis, Roermond, The Netherlands, September 26th 2014.